After thoughtful deliberation, the team at Ourdata has decided to close the company. We will cease support of the app and extension at the end of July. We continue our belief that a strong voice for consumers is needed to offset the power of the data monopolies. We encourage our current users to seek out opportunities to protect the value and privacy of their data. 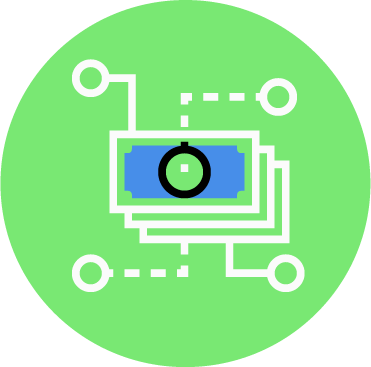 Ourdata was based on uBlock origin and we recommend that ad blocking extension as a replacement for Ourdata. We appreciate and thank you for all your support of Ourdata. SurveySavvy has a program that runs in the background of your computer, your tablet, and your phone (Android and/or iPhone) and rewards you $5/month per device (up to $15/month or $180/year) called Project Gold. Additionally, it is not limited to one account per household. I have my account, my wife has hers, and we bring in a total of $30/month when connected to each laptop, tablet, and smart phone. You will also get invites to different surveys, many of them pay $1-5, while others pay upwards of $50 when you meet pre-qualification standards. You can cash out at a minimum of $1 at a time. They mail a check for the amount you cash out. By running their program on your devices, it helps them to narrow down which surveys you qualify for and saves you the time of going through prequalifying questions and rejections. 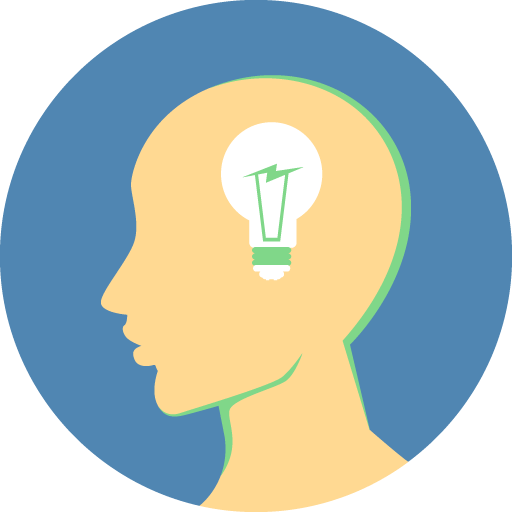 Freenters is a program that pays students when they print to paper. Essentially, for every five pages of a document printed, an ad page is printed. It does not share any pages with your printed materials, so don’t worry about an ad showing up halfway through a page you need for work or school or something else. Sign up and download the Freenters driver onto your computer. Select the driver to print to and earn $0.40 every ad-page printed. Once you hit $10.00, cash out your rewards to your Paypal account. The program is currently only available to students with a .edu email address but that may be changing soon. Click Here to Get Set Up! Use code LAZYMONEY to extra perks! Use BestReviewApp by going to their site from your Android mobile browser, or their iOS app. You select the apps they have available, download them, use them for a few minutes, and then review them. They say they require a 4 or 5 star review to complete the task. If you don’t want to do a review for 4 or 5 stars, then cancel the request to review it, otherwise they count it against your account. 5 negative counts against your account, and they freeze it. If you aren’t awarded for doing the review after 3 days, email them at their support email address. They are pretty good at resolving issues right away. Reviewers can get paid between $0.50 to $1.50 by writing reviews of Android and iTunes apps. I’ve made $50 in a week from this, but the amount varies depending on the apps they have available for review. You also get the money back for the paid apps you review in iTunes and Google Play! It pays to your PayPal account on Fridays and you can cash out at any amount. Click Here to Start Reviewing Apps! It is available worldwide and no minimum cash out requirement. Qoins is a round-up program that puts your spare change into paying off your debts. You spend $2.50 at the grocery store, Qoins rounds up to the next dollar ($3.00), and then puts the difference ($0.50) into an account that will be used to pay down your debts, whether credit cards, car loans, mortgage, and any other form of debt you tell them about. Payments from Qoins to your debt are done once a month. Do you have multiple lenders you want to pay? Now you can link multiple debit/credit cards & pay multiple lenders! Are you using a bank that Qoins currently doesn’t support? OR, just want to contribute even more to your debt? Meet Charlie! Think of Charlie as your spare-change “advisor”. 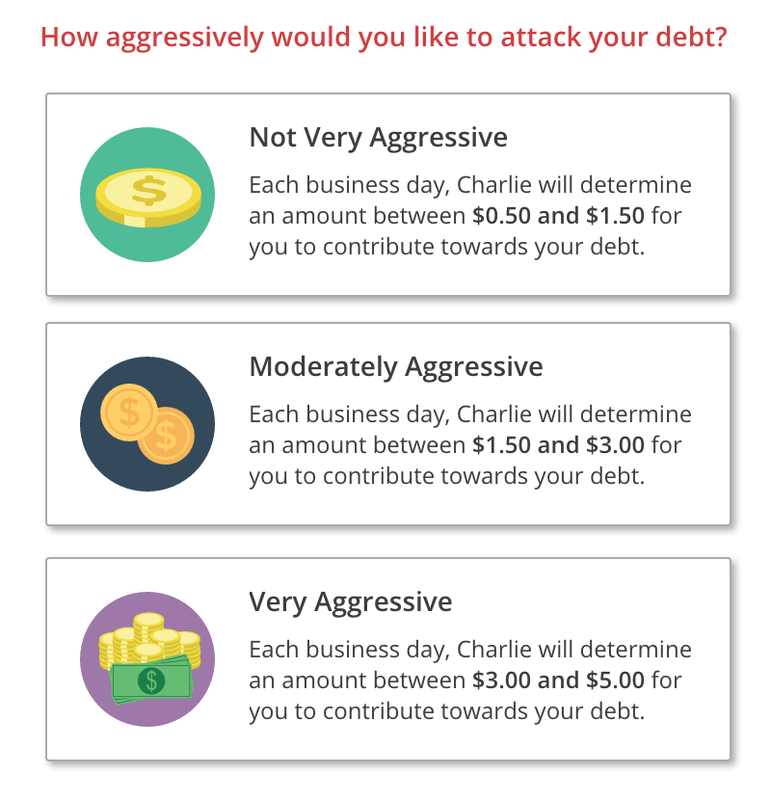 Set your preference on how aggressively you would like to attack your debt and let Charlie do the rest. Click Here to Start Paying Down Your Debts! Enter code JONA1900 and you’ll earn $3 when you send your first loan payment through Qoins! For monthly payments, they deduct $1.99 from the payments sent out. For more frequent payments, they deduct $0.75, plus $0.05 for every dollar paid out. If your monthly total is less than $20, we’ll roll it over into the next month, free of charge! GomezPeer runs on your computer in the background. Your account will show as pending until you have earned their minimum payout amount (I think it’s $5?) within a month. After that, they pay out whatever amount you have earned for the month. I am making about $0.20 per day by doing nothing except letting it run. eBesucher sends emails or other minimal effort things to do and pays you for it. I have made a few bucks each month from just receiving and reading the emails they send. Hardly takes more than 30 seconds per email. They have a few other services to create a revenue, too. If you use Firefox Browser, you can get their program which does autosurfing websites and awards points for it. I let that run throughout the day. It is available worldwide. Minimum cash out is $2 USD.